Jake Wolf & Friends play at the Vail Ale House on Thursday with special guest The Sweet Lillies.This weekly music series, hosted by the illustrious local drummer and Avon City Councilman Jake Wolf, features top artists from around the world! Musicians are drawn to the Vail Valley for a variety of events and Jake does a beautiful job of engaging the most talented for an intimate show hosted each week by the Vail Ale House. 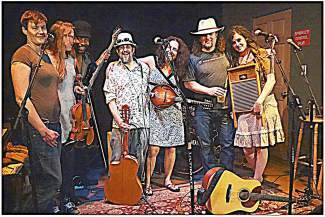 The Sweet Lillies play an eclectic mix of Americana, bluegrass and feature original songwriting along with unexpected bluegrass covers of the Grateful Dead, Annie Lennox, Neil Young and more.